Food Basics is giving away a $100 Food Basics gift card on their Facebook Page! Show hem your long weekend eats by posting a photo of your plate in the comments at the link below for your chance to win. 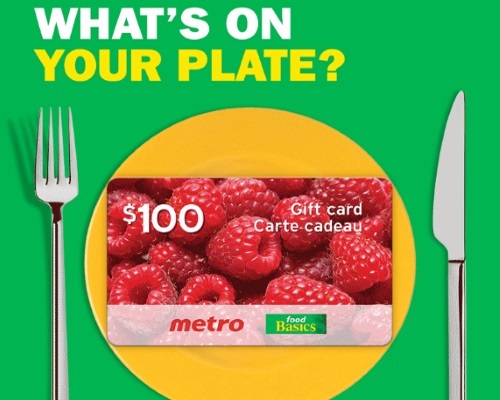 Gift card can be used at any participating Food Basics or Metro store in Ontario, Canada. Contest closes May 24, 2018.